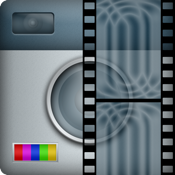 InstaMotion is a new fascinating, beautiful and fun way to capture videos and to share them with friends and your family. Choose a filter that fits best to your mood or to the situation you are in, take a video and post to it to your friends — it's that easy. Play around with special effects like slow motion or time-lapse. It's a new - maybe the best - way to see the world. You can share of course your videos to Facebook and Vimeo. * 18 high performance filters, such as "Scant", "The 30s", "Mr. B&W", "Sketch", "Comic", "Deface" and "Mindcraft". * Special effects, such as long term time lapse, slow motion and fast motion. Real-time video processing is one of the most challenging things, that you can do with your phone. This demands particularly high performance of the processor and your phones battery.. The energy consumption, especially in long-term recordings can be very high and can therefore shorten the battery life.